ToTT store opens at Suntec City today! Be sure to shop from a wide range of products at incredible prices, available at our newly opened store. Sale ends 10 July 2015. Contest runs till 6PM, today (9 June). 10 winners will be announced on this post at the end of the week. Good luck! 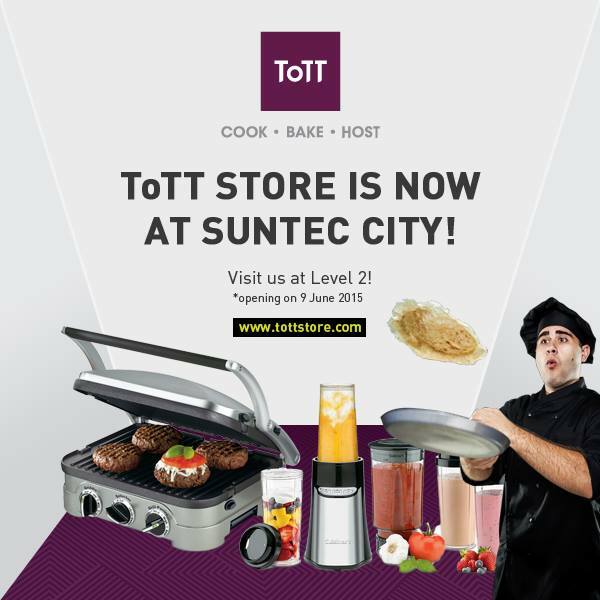 ToTT is located at Suntec City North Wing (Towers 1 & 2), #02-427/428/435/437.